In this one-day workshop students will mosaic a 6 x 12 stone paver for the garden. 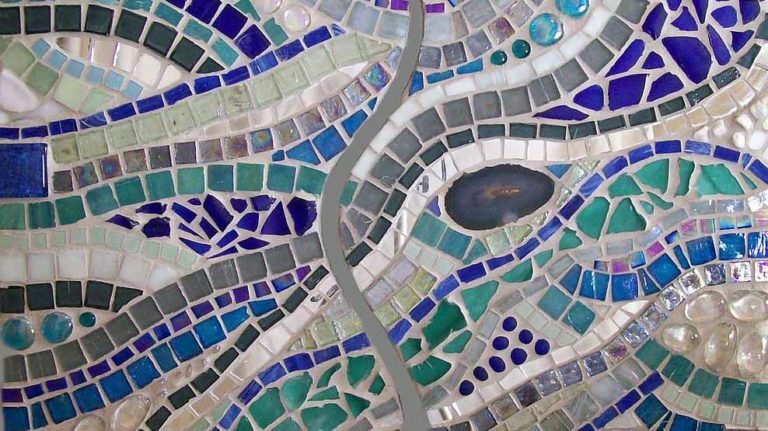 Using glass, ceramic and stone tesserae students will learn the basics of mosaics including tile cutting, design, and grouting. This class builds on the Mosaic 101 class with a lecture on proper techniques for creating and grouting outdoor mosaics, but no previous mosaic experience is necessary. At the end of the workshop, students will be given a grouting demo and take home grout kit. Students can take the grout home or may choose to complete the project with guidance at a later date at Copper Cat Studios in Sparks. All materials provided.